On arrival at Puri Railway Station, transfer to your Hotel with traditional welcome. Morning, visit to the legendary Lord Jagannath Temple. 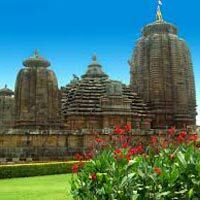 12th century temple is known for its annual Rathyatra or car festival and series of festivals. There after proceed to the grand road called Bada Dand for shopping. Afternoon visit famous Sun Temple Konark dedicated to Lord Surya. (35 km from Puri) . Overnight stay at Hotel in Puri. After Breakfast proceed to Satpada (50km. / 1 & ½ hrs. ), which is a virgin lagoon lake famous for Dolphins and migrating birds and boating through lagoon and virgin island called Rajhans. Evening onward to Bhubaneswar. After Breakfast visit appliqué village Pipli - one of the most important cottage industries & visit Dhauligiri, the famous Japanese Temple on the hill . Check in the Hotel . Afternoon Visit to Khandagiri, Udayagiri (Jain caves) and visit Nandankanan Sanctuary and Biological Park, established in 1979, offering its inhabitants a true feel of their natural feel, Gharials (Crocodile) and white Tiger Nandankanan also runs a lion and a White Tiger Safari. 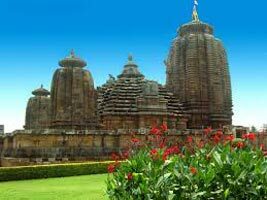 Evening Lingaraj Temple, Mukteshwar Temple, Rajarani Temple and Museum and overnight in Hotel. Today shall check out of Hotel and shall be taken for shopping and shall be dropped at Railway Station/Airport.